Since 2005, Criterion has provided high-end information technology and systems integration services for many of our nation’s mission-critical environments. Criterion focuses on cybersecurity, IT infrastructure operations, systems engineering, and application development. As an employee-owned company, all of Criterion’s personnel share a common interest in the company’s success. And from the CEO’s office to the front lines, our people understand that there is only one true measure of success: customer satisfaction. To us, customer satisfaction means more than just meeting performance requirements – it means understanding our customers’ missions, learning how our services enable mission success, and working shoulder-to-shoulder with our customers to ensure they are able to achieve their goals. This is more than a job – it is a calling, and we stop at nothing to ensure our customers are able to execute their missions in support of the United States of America. Quality of service is the most important factor in delivering on our commitment to our customers. 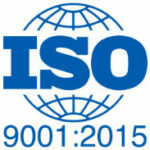 As such, Criterion has invested in and maintains an ISO 9001:2015-certified Quality Management System (QMS) that provides Quality Control processes and procedures to be applied across all our contracts. This certification means we bring repeatable processes for monitoring, controlling, and correcting contract performance as needed to ensure we meet or exceed all requirements. Through consistent execution of these processes, we maintain a customer satisfaction rating greater than 99% as measured by customer surveys. "I wanted to just take a moment (I don’t do it enough) and stop and recognize your team of ISSOs/ISSEs for all the work they have been and are currently doing. They are going above and beyond and really impressed me away when I was out last week. They always do a great job, but the amount of items they are tracking and the quality of the work they are producing is really top notch!" "Your team does an unbelievable job… when problems arise, they work the problem, do the engineering, and get it resolved. You should be proud of the team Criterion’s PM and leads have assembled out here. They are as good as any IT team I've seen." "My team and I all wish to thank you again for you leadership and for their continued excellent service support – you have a team of ROCK STARS!" "We greatly appreciate your effort to ensure your team members in Albuquerque remained engaged and informed. Your expertise was invaluable. Again, thank you for your efforts, and congratulations for a job well done!" "I would like to make you aware of the very positive things that I observed regarding the performance of the assessment team. Throughout the assessment I was able to observe the team exhibit a high degree of professionalism and technical competence during a very challenging assessment." 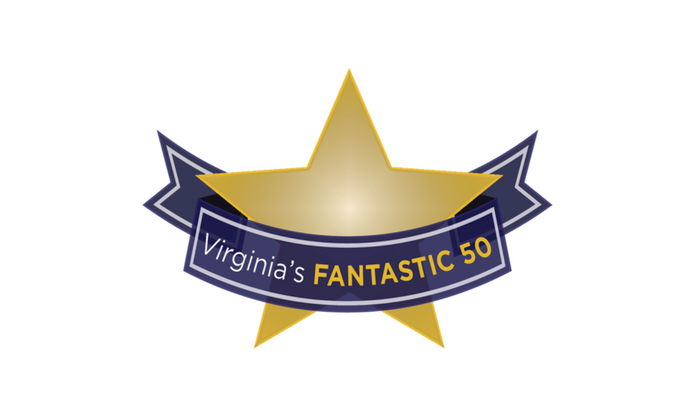 Recently, Criterion has been recognized for its outstanding growth and commitment to the DC region, appearing on the 2018 Washington Business Journal list of 75 fastest-growing companies in the Washington, DC, region (ranked #21) and the 2018 Fantastic 50 list of fastest-growing businesses in Virginia; winning the Moxie Award for Boldness in Business in the category of cybersecurity in 2017; and, appearing on the 2017 and 2018 Inc5000 list of fastest-growing companies in the United States. 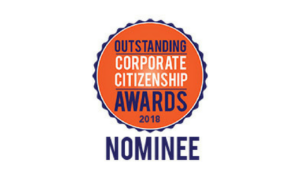 The company was also nominated for the Outstanding Corporate Citizenship Award in Northern Virginia in 2018. 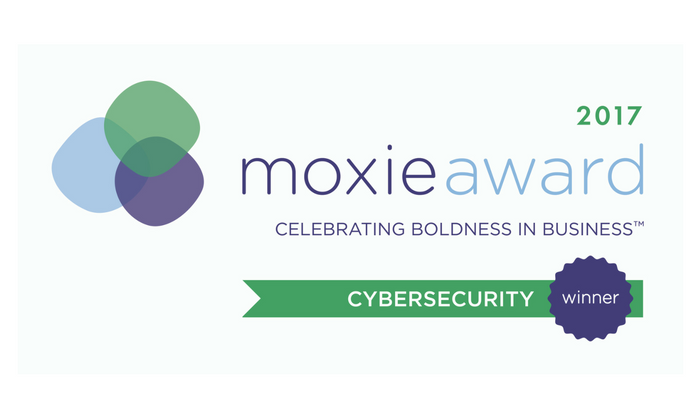 Furthermore, its Las Vegas-based office and employees have been recognized in multiple ways, winning a Patriotic Employer Award in 2018 and having two outstanding employees become finalists for the 2018 Las Vegas Women in Technology Awards for Cybersecurity. Criterion’s corporate philosophy holds that true success requires us to give back to our community. 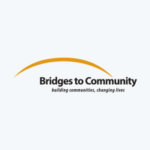 We encourage, support, and celebrate our employees’ many and varied community outreach activities through our Criterion Cares program. From a corporate perspective, we take a very focused approach. Since 2009, Criterion has supported The Women’s Center (TWC), an organization that provides mental health counseling, support, and education to the metropolitan area to help people live healthy, stable, and productive lives. 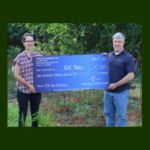 Recently, we became a patron sponsor of the organization. But more than simple philanthropy, we are actively working with The Center to host a fundraising happy hour this summer. Employees are also volunteering on various committees to increase the exposure of TWC and brand to more of a family resource. By choosing to support one organization in a focused way, we can have a big impact. Heartbroken by the devastation that those in Texas faced as a result of Hurricane Harvey, Criterion made a corporate contribution to Team Rubicon, a disaster response veterans service organization that utilizes the rapid response expertise of our military veterans. 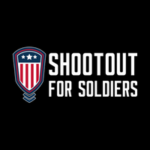 Criterion is proud to be a sponsor for the 2018 Shootout for Soldiers, an charity event benefiting veterans, taking place in Arlington, VA. The event, a 24-hour lacrosse game, was brought to our attention by the program manager of our OCIO contract who has participated in the past and will be participating again this year. The organization hosts more than ten “shootouts” a year across the country. The mission behind the event and the organization is to use lacrosse as a platform to support American veterans and foster community engagement. Criterion partnered with our USDA customer, the National Information Technology Center (NITC), to participate in United Way’s Day of Caring in June 2017. We worked together to rehabilitate a large garden at the Niles campus in Kansas City. Niles, an organization that provides residential and day treatment programs for children and teens, is reopening this summer. The garden will be used as a part of their development program for residents. A great time was had by all and we were happy to dedicate our time to helping out such a great organization! Criterion’s National Energy Technology Laboratory (NETL) team joined 1,200 riders across Western Pennsylvania in raising nearly $600,000 for local programs and services for people affected by MS.
Criterion sponsored Bridges to Community's Raise the Roof X fundraiser in the fall of 2017. The organization raised over 50k and the money will help build 10 homes for families in Nicaragua. Promod Sharma is the President and CEO of Criterion Systems. Promod is responsible for setting the strategic direction, creating and modelling the company culture, building and leading the senior executive team, and allocating capital to the company’s priorities. A serial entrepreneur, Mr. Sharma has enjoyed a successful career in the information technology industry. He has managed numerous mergers and acquisitions and led high growth IT services companies. Mr. Sharma is skilled at building strong, motivated teams and corporate cultures that achieve exceptional results. Prior to founding Criterion Systems, Mr. Sharma served as president and CEO of CNSI, a government technology services and solutions company. Earlier in his career, Mr. Sharma held senior level positions at INET, EDS, and GenesysCorporation. He is also the founder and CEO of Abolish Child Trafficking (ACT) Now Inc., a humanitarian initiative that focuses on combating child trafficking in the Washington metropolitan area. Mr. Sharma obtained a B.S. in Physics with Honors from Delhi University (India) and a M.S. in Finance from the London School of Economics. He is a Certified Chartered Accountant from England. Steve Mast is the Executive Vice President and Chief Financial Officer. Steve is responsible for the financial, compliance, and administrative functions of Criterion. He is a seasoned executive with financial management experience in both public and private information technology firms. He has extensive government contracting experience and has managed numerous mergers and acquisitions as well as equity and debt offerings. Mr. Mast is also a Certified Public Accountant (CPA) who has served as the CFO of several technology and government services firms. Mr. Mast obtained a Bachelor of Science in Accounting from the University of Delaware where he graduated first in the class. Mr. David Coxe is the Executive Vice President and Corporate Development Officer. David is responsible for strategic development and investment initiatives that drive corporate growth. He concurrently manages operations of a federated identity management software start-up providing infrastructure and applications to securely and privately share data across corporate trust boundaries using Web services. Mr. Coxe has extensive operations, marketing and direct sales experience and an in-depth understanding of current technology with a track record of developing and implementing high-value strategic business initiatives for both commercially and federally focused organizations. He also brings strong merger, acquisition and integration skills, including asset disposition and capital formulation for both public and private companies. Mr. Coxe obtained a B.S. in Engineering with Honors and Distinction in 1978 from the University of Delaware and an M.S. 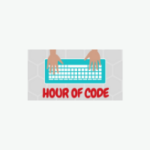 in Engineering from the Massachusetts Institute of Technology. Mr. Charlie Doyle is the Senior Vice President of Civilian Operations. Charlie is responsible for revenue growth, successful execution of program operations, and customer relationships within Criterion’s Civilian Business Operations Division, including the company’s growing Department of Energy (DOE) and Department of Agriculture business areas. Before joining Criterion, Mr. Doyle held progressive senior leadership roles overseeing IT portfolios at SAIC and Raytheon over a 25+ year career supporting the Federal Government. He has managed day-to-day operations of Programs, Divisions and Business Areas with Sales in excess of $100M annually during his career. Mr. Doyle is a certified Project Management Professional (PMP) since 2010, and holds a Bachelor of Science degree in Business Administration: Computer Information Systems from Bloomfield College. Ms. Marcie Cheney is the Senior Vice President of Business Development Strategy. Marcie leads Business Development, Capture Management, Proposal Management, and Marketing for the company. Prior to Criterion, Ms. Cheney directed media relations and supported integrated marketing programs for a small technical solutions company. She also was a corporate communications manager where she led media and analyst relations activities. And finally, she led account teams and developed communications strategies for business and technology clients at three different communications firms. Ms. Cheney has a B.A. in Government and History from Bowdoin College. She is active with Women in Technology (WIT) and currently serves as co-chair of the annual Leadership Awards program. Mr. Bob Heckman is the Chief Information Officer. He also leads Criterion’s Cybersecurity Center of Excellence and is responsible for executing the firm’s cybersecurity strategy that includes improving and optimizing the performance and security of our networks and systems, providing a dedicated group of experts focused on cybersecurity best practices who deliver innovative solutions and achieve operational excellence for each of our customers, and ensuring our IT Infrastructure enables the delivery of services to our clients. In addition, Mr. Heckman provides strategic leadership of the company’s information security programs and is aligned with Criterion’s technology capabilities. Mr. Heckman is a graduate of the Air Force Communication Electronics School and Marine Corps Communication Electronics School. He also attended the School of Electrical Engineering at Ohio University, and is a Certified Information Systems Security Professional (CISSP) and member of the International Information Systems Security Certification Consortium (ISC2). Bob is a Cyber Division Member of the National Defense Industrial Association (NDIA), and a previous Cyber Committee Board Member for the Armed Forces Communications and Electronics Association (AFCEA).